Jules Howard is a zoologist, nonfiction author, and international ambassador for science. 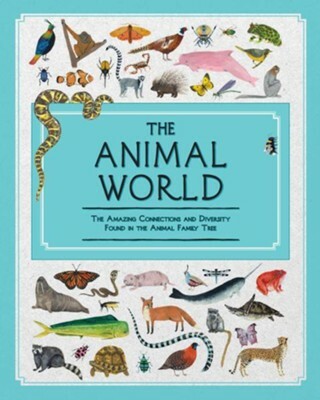 As well as writing regularly for the Guardian and the BBC, Jules offers support to a number of nonfiction book publishers working on zoological themes. Kelsey Oseid is an illustrator living and working in Minneapolis, Minnesota. She loves to work with traditional media to create playful, folksy, and vintage-inspired illustrations and designs. She makes art prints, greeting cards, original paintings, and more. You can learn more about her at kelseyoseid.com. I'm the author/artist and I want to review Animal World.